Popular musicians often have a hard time avoiding being classified and segmented, but Beck has always been one of the rare few who have evolved and incorporated different sounds without faltering. 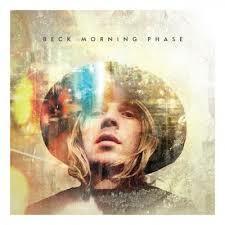 His new album, Morning Phase, is a magnificent collection of 13 mellow and melodic songs, companion pieces to his 2002 album, Sea Change, and it’s easily one of his best. It begins elegantly with a short, string instrumental “Cycle,” which sets the beautiful, ethereal tone and eases into “Morning” with its gentle acoustic guitar and sustaining vocals. The pacing of the album is well done, switching tempos and mood slightly with songs like “Heart Is a Drum,” “Blackbird Chain,” and another short musical interlude, “Phase,” avoiding monotony. The first single off the album is “Blue Moon,” which is one of the strongest tracks, marrying together many of the album’s strengths such as an optimistic moodiness, flowing vocals, and layering soft instrumentation, which feels seamless. The album ends with another great track, “Waking Light,” which builds with vocals and pianos and later almost falls apart in a jam that fades out and gets cut off. It’s an immensely listenable album and while it’s not the kind of album that will jump out at you and call attention to itself, it is the kind of music you can spend a great deal of time with, which is the mark of true success. You also have to give Beck credit for creating a true album here as opposed to a collection of juxtaposed singles, which has become all the more rare in the iPhone age.